NYX interactive are all about the maths behind the slots. They might not be the prettiest, but they are possibly one of the smartest. NYX Move, the mobile platform for NYX slots and games, provides some of the most popular NYX interactive and NextGen casino games for mobile casinos. These games are usually plugged into a mobile casino site as part of a wider mix of games. Interestingly they are one of the few casino game providers to actually put some of their mobile slots in the app store to download singularly. NYX Move casino games are far more traditional than many of the other online slots machines. That said the fundamentals behind their video slots are sound and if you’re a long term player, chances are you’ll be familiar with some of their mobile slots. That said, it doesn’t feel like they’ve thought through how the slots should function from a big online screen, to a smaller tablet and mobile phone. This leaves many of the mobile casino games not utilising the full space available and the slot games lose some of the charms that made the online slots so popular to begin with. Needless to say, some of the mobile slots feel forced. Like NextGen woke up one day and thought ‘oh yeah, we should probably do mobile’. This means that the slots leave a little to be desired. You notice it in the small details. Like the whole video slot having an inch of space at the bottom of the iPad because it doesn’t quite fit the screen. This is a shame, because if you look at the downloadable apps they created for singular games, they look and play incredibly well. But you can’t gamble on them or play with real money – they are purely social games. So for now, we have to settle for good online slots, badly adapted on the mobile casino that support NextGen casino games. That said, there are still some good mobile slots to be found in the NextGen portfolio including: Medusa, Irish Eyes and Merlin’s Millions. Also, because they are not incredibly graphic or feature heavy, they are great to play on your mobile phone. We remain hopeful however, that due to the quality of the mobile casino apps they created, that they will invest the time to create great mobile slots for mobile casinos in the long run. For now however they are still good fun to play when you’re out and about, especially in portrait mode. 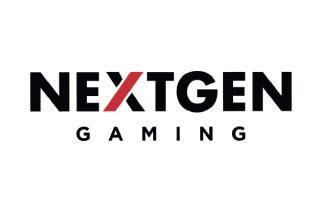 Finding where to play slots and games by NextGen is easy, we recommend: Leo Vegas and Vera&John mobile casinos for the best gaming experience.